There are far more species in South America than you’ll find on this page, but these are among the most well known. 1) Follow Andreas Kay’s Flickr feed. He posts many excellent cicada photos from Ecuador. Many cicadas found in Ecuador are not endemic, so the cicadas you see in Andreas’ Flickr feed should be found in adjacent countries. 2) Visit Cigarras do Brasil – Brazilian Cicadas for photos and information about the cicadas of Brazil. 3) Read Jacobi (1907) “Homoptera Andina”. (Not sure where to find it – maybe eBay). 5) Search for papers written by Allen F. Sanborn. Here is how to search for cicada research papers online. 6) Use ITIS to traverse cicada species names and get listings of papers about the cicada — then search for the cicada names and papers. 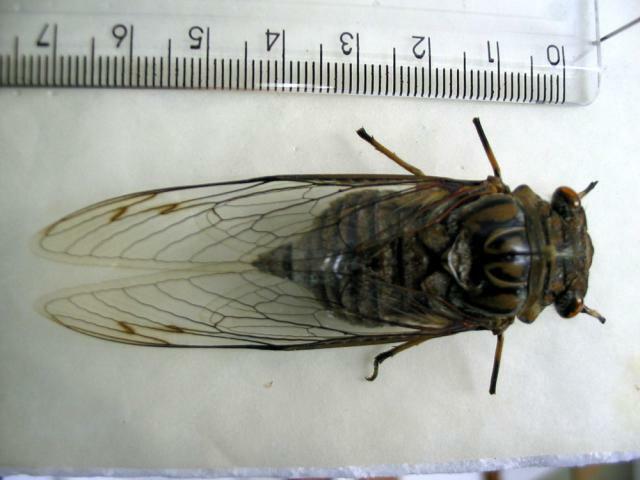 5) Many photos and sound files of Paraguayan cicadas. Thanks again to David Emery! Click the images for larger versions, the species name and the name of the photographer.